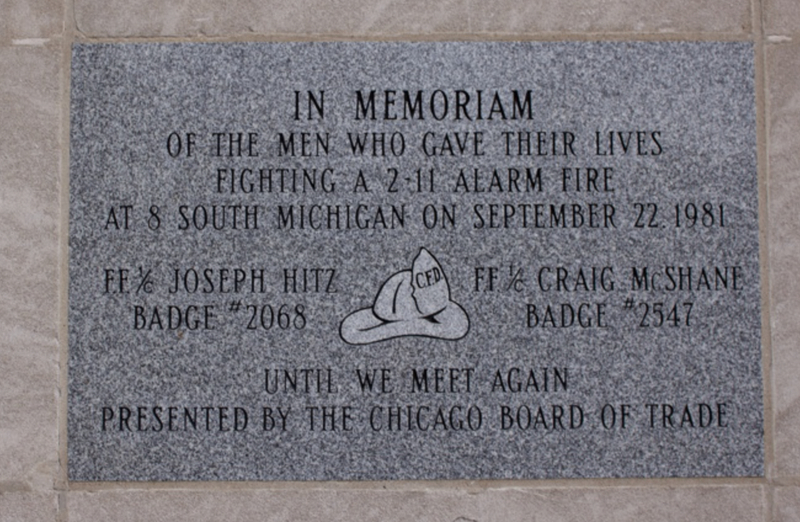 September 22, 1981 – Two firefighters die and six others are injured while fighting an extra-alarm fire in the Willoughby Tower office building at 8 South Michigan Avenue. Fire Commissioner William Blair says, “There was no chance … there was no way out for them.” The two firefighters, Joseph Hitz, a snorkel truck driver with Hook and Ladder 1 and Craig McShane, a rookie with Engine 42, fall to their deaths down an open elevator shaft from the twenty-fifth floor to the roof of an elevator stopped at the ninth floor. The fire on the floor from which they fell started in materials a cleaning crew had left in the elevator, and as a result the car fell until its brakes activated and stopped it on the ninth floor. 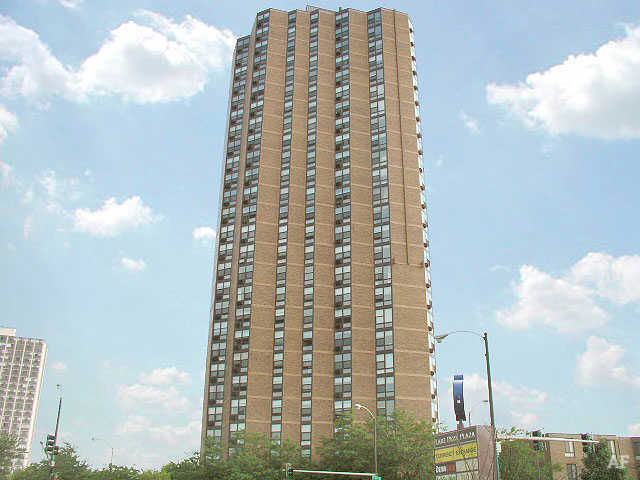 Six firefighters exit an elevator on the twenty-fifth floor to find the hallway filled with smoke. Breathing through air masks, they find an open office through which they are able to reach a fire escape at which point they discover that one of their number, Hitz, is missing. 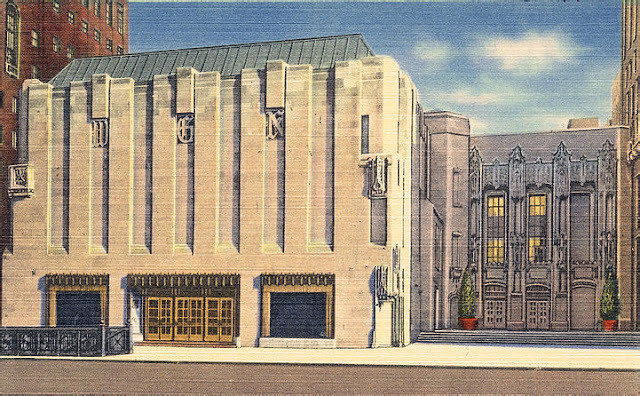 McShane, the only firefighter who still has air in his self-contained breathing apparatus, crawls back to check, and he falls through the same open elevator shaft into which Hitz had fallen earlier. Mayor Jane Byrne, standing at the scene as the search for the two men is being conducted, says, “I am deeply sorrowed by the loss of the lives of these two brave firemen …I have conferred with Commissioner Blair and directed him to immediately procure, by the end of the week at the latest, two-way hand radios for every Chicago firemen in hopes that this would prevent a recurrence of such tragic accidents.” Hitz and McShane are the first Chicago firemen killed on duty since 1978 and the first multiple deaths of Chicago firefighters since 1973. 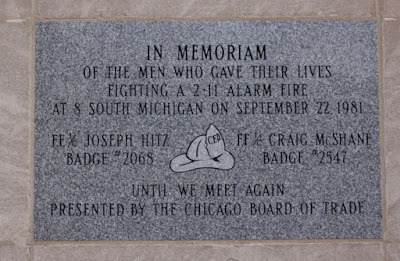 The plaque, pictured above, memorializing the two firefighters, can be seen at the firehouse at 419 South Wells Street, about a mile away from the tragic fire of 1981.